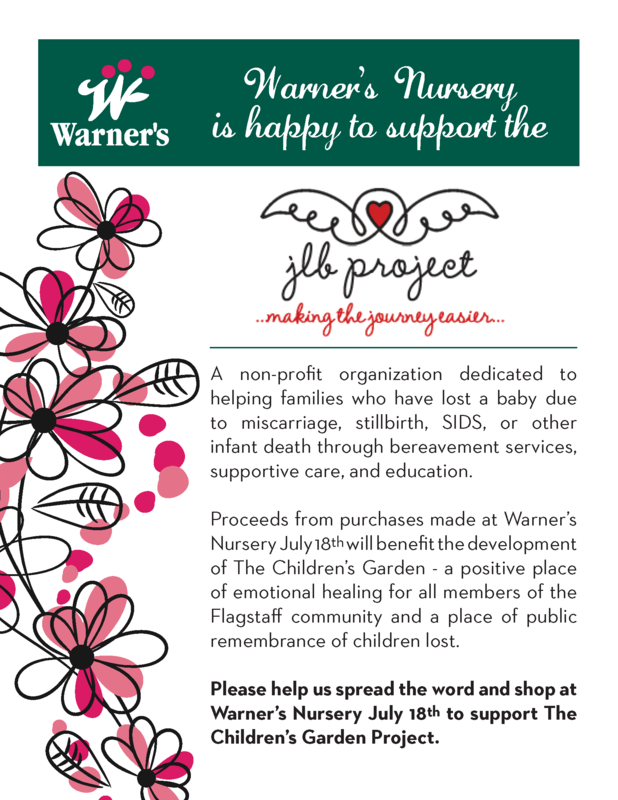 JLB | Warner Companies, Inc. The JLB Project was founded by Mike and Anna LaBenz, devoted parents to two beautiful children, Jack and Olivia, and one sweet little angel, JLB. On July 20, 2006, Mike and Anna lost their precious son, JLB (Jack’s Little Brother) to an umbilical cord accident at full-term. In addition to being heartbroken, they felt lonely, isolated, and lost as bereaved parents. From their experience, they founded JLB Project to make the journey different for other families facing the unimaginable loss of a child. To learn more about the JLB Project’s work to create a Children’s Garden, click here.